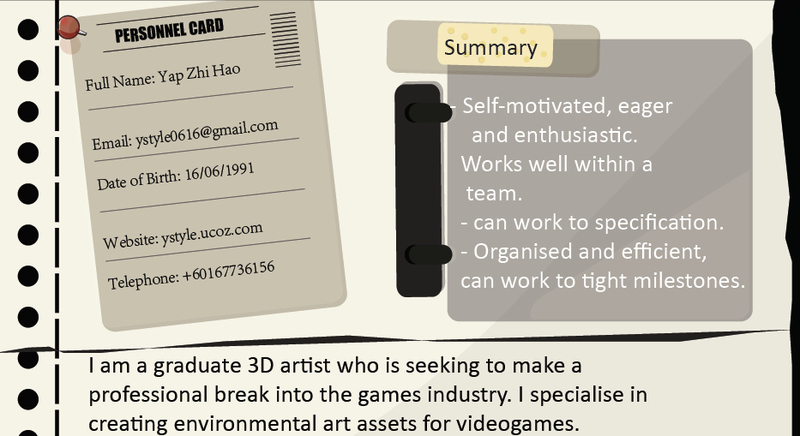 I have recently graduated from the creative University of Limkokwing with a Diploma in Games Art. I consistently attended extra classes to improve my knowledge of creating art assets for video games. 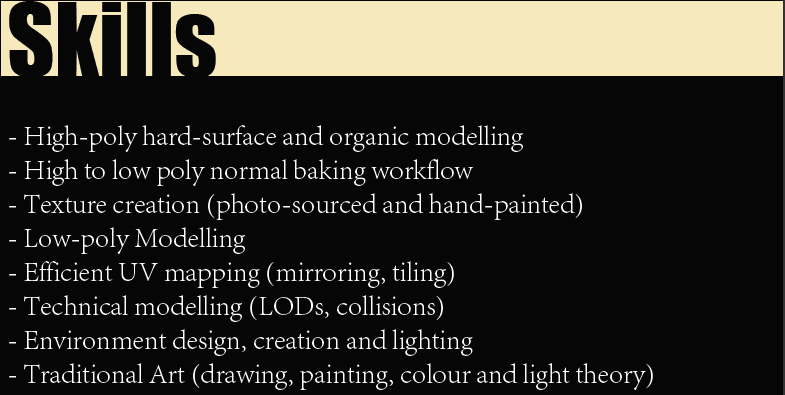 All of these classes have considerably enhanced my interpersonal and 3d modular skills.